Last spring, I had the pleasure of starting this unique series, The Seven Sisters. This series tells the story of each of the D’Apliese sisters that were adopted by a rich billionaire, Pa Salt, and named after the Seven Sisters constellation. This book is the second in the series and chronicles the story of Ally D’Apliese who is a sensible, professional sailor. After sailing in one of her most challenging races, the smoldering chemistry between skipper, Theo, and Ally is ripe for igniting. The two are vacationing together in the Greek Isles when word reaches Ally that Pa Salt has died. After this devastating news Ally returns to her home retreat ‘Atlantis’ in Geneva to mourn her father. When she arrives her father has left clues for all seven of the sisters to find out where they come from…..if they choose. Most of the sisters have said said they will find out someday but few have expressed much interest in the subject of their ‘roots’. Ally returns to Theo and begins to prep for the ‘race of her life’ called Fastnet which promises glory for the winning team but it also promises extremely dangerous conditions. When tragedy strikes again for Ally, she decides to start looking into her ‘history’ and hope it distracts her from her grief. The clues left from her father take Ally to the frosty, distant shores of Norway. During her quest, Ally discovers how her life and the story of unknown singer, Anna Landvik who lived there over 100 years before, and sang in the first performance of Grieg’s iconic music set to Ibsen’s play ‘Peer Gynt’ are linked! As Ally learns more about Anna, she also begins to question who her father, Pa Salt, really was. And why is the seventh sister missing? 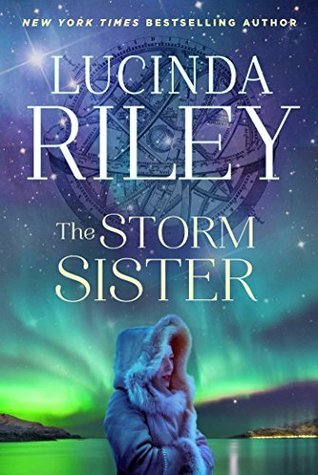 I love Lucinda Riley’s storytelling…..it’s beautiful, tragic, lyrical, and ultimately heartwarming….though often there are heartbreaking circumstances that happen to the main characters….. I always walk away from her books feeling like everything turned out just how it should with the characters. So I was really excited to read this book when it came out. The story starts out with Ally and then transitions to Anna’s story. I love how the past and present come together and neither story overshadows the other. I’ll have to be honest though…..the first quarter of the book was really sad so be prepared. I was like ‘my heart is breaking’ when I started Anna’s story. I almost didn’t want to keep reading because I was so upset for Ally…..however what I find is that when I feel this way it’s because I’ve formed such a connections with the character so that’s an indicator of Riley’s ability to write well drawn characters who encourage empathy from the reader. That said, there were times that I struggled with Ally as a main character. While I sympathized with her and felt empathy for her, there were times that I didn’t always like her. She was a little too self sacrificing. For example…..when Pa Salt died she felt what I deemed was irrational guilt over not being ‘available’ or not ‘being there’ for her family when the news came because she was out enjoying a romantic week away with Theo. I get that she felt guilty but as a reader I was wondering why? It wasn’t like she could do anything to stop his death….so I felt like she was way too hard on her self because of that and I found that a little annoying as a reader. There were a couple of times that she was like that throughout the first part of the book and it was a bit of a struggle for me but as the story went on and the characters evolved I felt better about her as a character. Lucinda Riley is a wonderful writer and this series is wonderfully written. I would say that reading this whole series together in order would be helpful to the reader. For instance, there were references to Maia’s story and while it isn’t necessary to read the first book in the series before this one, I think knowing the backstory helps enrich this novel. That said though I think this would read ok as a stand alone too. This is an elegant story…..you will not be disappointed! Please check out other stops on the tour for author interviews, giveaways, and guest posts as well as a number of other reviews! The schedule is listed below!